SeekBeak is designed to be a powerful, easy-to-use, mobile friendly, way of creating interactive 360 images and virtual tours. You’ll be able to do things that no other 360 image app can do. No websites to manage, no hosting to configure, no software or scripts to install, no patches, no updates, no plugins, no hassle! Full Editing Suite… On your Phone or Tablet. Add new content, update a clients info, move some Hotspots, or change a contact email address? You can do everything on your mobile device. Our SeekBeak Viewer works across all popular current desktop and mobile browsers, all at a silky 60fps. Your users will experience effortless inertia based panning and zooming, using touch gestures or a mouse. 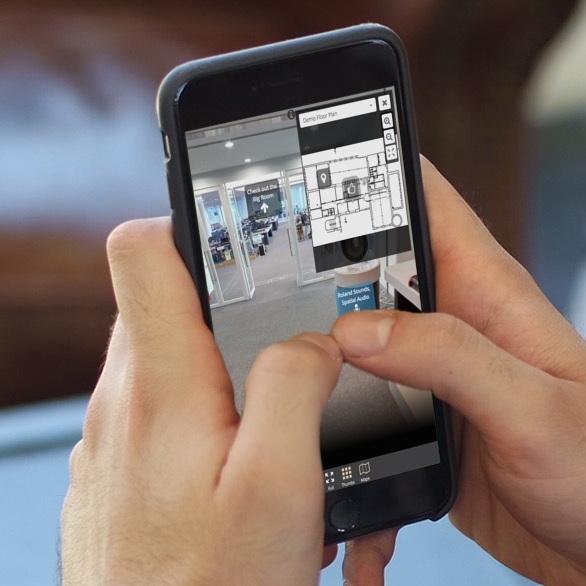 Your users can navigate around the image by physically moving their phone around, like looking through a virtual window. Use your company logo as a watermark in your Snaps. Customize the Logo URL, title, position and size at any time. You can also use your own custom Google Analytics Tracking ID per Snap. SeekBeak has dozens of stock vector icons for your Hotspots, and we allow uploading of your own custom static, or animated, .svg format icons! We also allow you to configure the color and opacity of the text, background, and icon of every hotspot. Upload an image and create a 2D map, or multiple layers of maps, for floor plans, overlays, arial overviews etc. using our ridiculously easy Map Editor. Easily add navigation Hotspots and let your viewers smoothly navigate their way around! A dedicated Share button instantly shares your 360º photos across Facebook, Twitter, LinkedIn and more. Quickly generate sharable links for Instant Messaging, SMS, internet comment fields, forum responses etc. We even provide a QR Code generator for print media! Upload your own thumbnail, or have SeekBeak generate watermarked thumbnails for you. Our custom links generator allows your sharing links to be customized to dynamically change your content, allowing you to easily do things like removing branding for MLS sites which don’t allow it. For those who like to really get detailed, we have full link tracking support in our Reports via UTM codes. And yes, we have created a very robust UTM link generator for you to use. Using our handy embed code generator, you can embed your photos and tours anywhere on your website. We don’t force you to submit your Snaps to any online directories. Your Snaps are private unless you publish your custom URL. Upload and manage multiple images and audio files with ease. Running a creative team, agency, school, or company? Looking for a powerful CMS to resell to clients? Easily create White Labelled Teams, each with different branding, and manage everything from a single login. Each Team is a separate entity, including all content, subscription details, and invoicing. Team invoices come directly to you, your Team members never see any billing information. 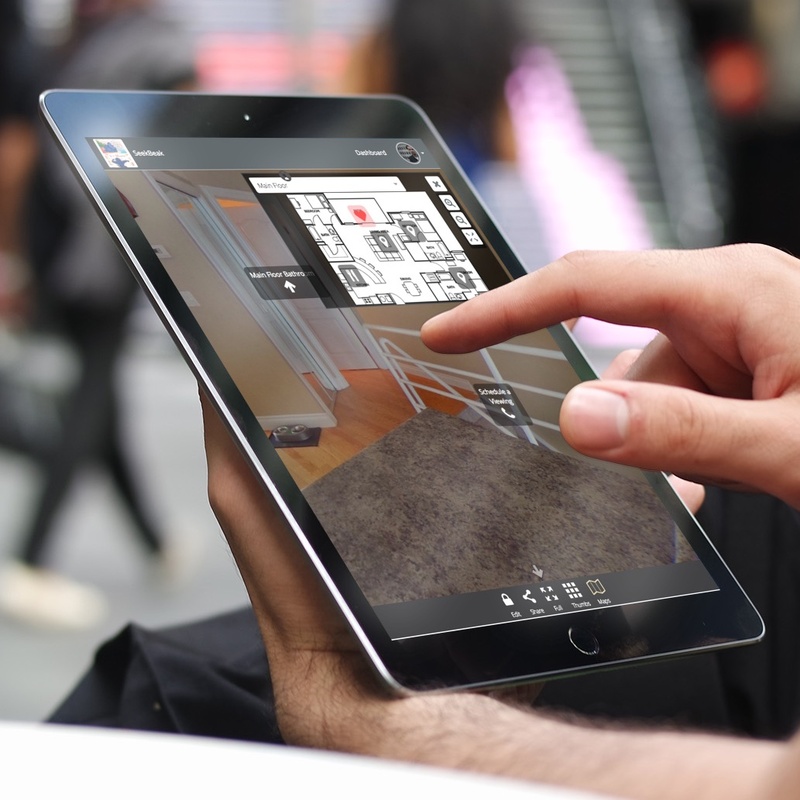 The Hotspots in SeekBeak allow you to add multimedia content and metadata, bringing your 360° images and 360° virtual tours to life. Hotspots enable your users and clients to discover content that goes way beyond a simple still image. The SeekBeak Hotspots are rendered using vectors, so they’re always crisp and readable at any zoom level, on any device. The color and opacity of the text, background, and icon of every Hotspot is customizable, and can be animated using our built in Animation Suite. Does your picture need to say more than a thousand words? Easily add your text by using the Rich Text content hotspot! Change colors, fonts, sizing and more. Plus: SeekBeak automatically parse your content and create clickable web and email address links. Need to warp your user to a new room in a house, or another section of a store? The ‘Jump To Snap’ Hotspot allows you to teleport the viewer to any of your other Snaps. Each Hotspot can also define a unique start point for the next image, perfect for areas which may have multiple entry/exit points. The Library isn’t exactly a Hotspot, more like a close cousin. Spent a lot of time developing the perfect animated Hotspot using your brand colors? Simply save that Hotspot to your Hotspot Library, and load it back into any Snap whenever you need it. Need to link to a Facebook profile, product page, or a certain blog post? Want to create a 360° menu or catalogue for your website or store? The URL Hotspot is your ticket to any web URL. Display gorgeous photo slideshows or single images when your user interacts with the Image Hotspot. The Slideshow has rich navigation and swipe controls on mobile and desktop. 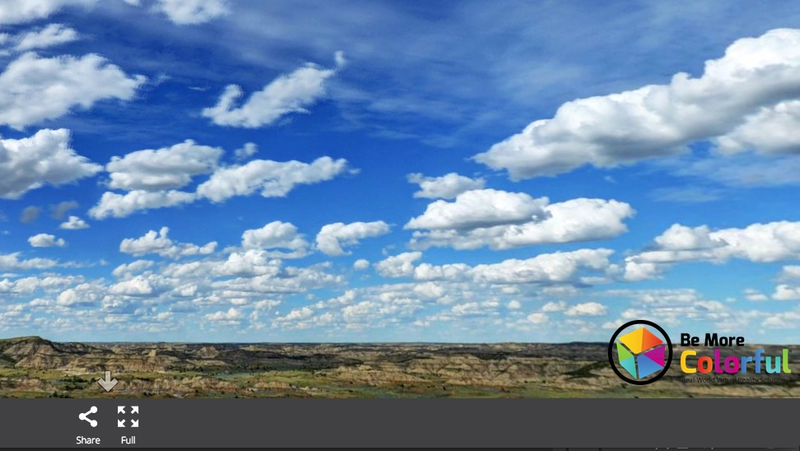 All images can be viewed fullscreen, or resized dynamically, based on the viewers device. 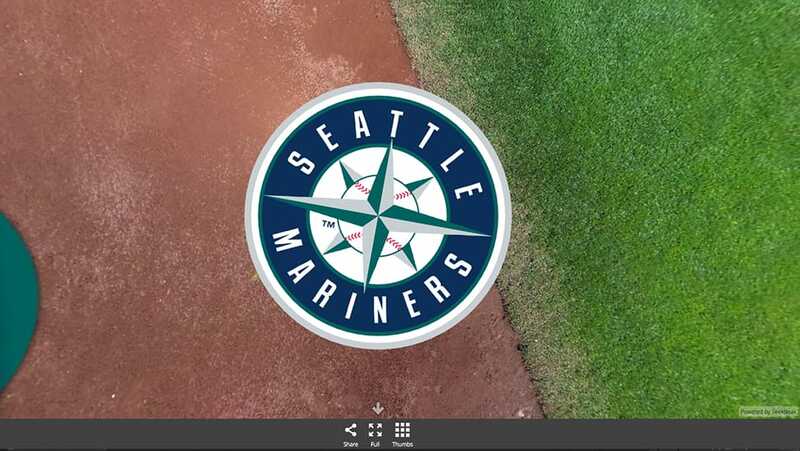 Embed videos, maps, images, other 360° content, and tons of other external content from sites such as YouTube, Instagram, Vimeo, Facebook, Flickr, Google Maps, and loads more! 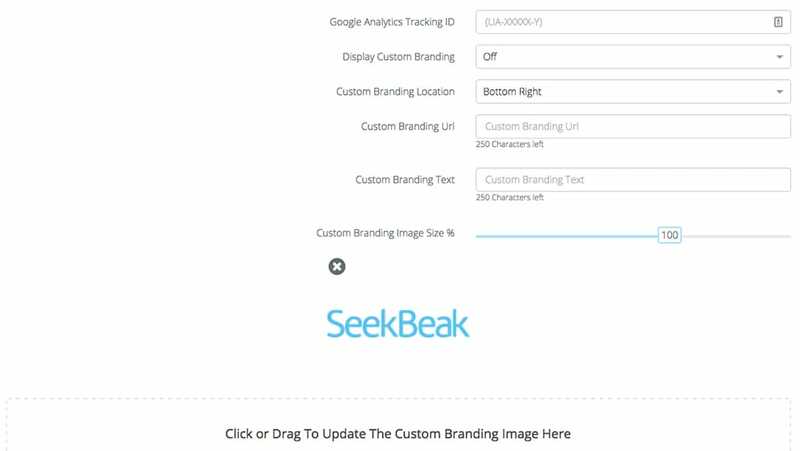 Enter a link from an online product page, and watch SeekBeak magically create a “Buy Now” hotspot for your product with product details and images automatically populated. No syncing databases or re-entering data. Seamless integration with Shopify, ebay, Amazon, Etsy, and more! The Internet of Things (IoT) is at your fingertips! Control API managed smart devices including: lighting, thermostats, home automation, external software or hardware… almost anything that can be controlled from a secure HTTPS API. Easily add custom headers for OAuth, Basic Authentication etc, and send your data in JSON or form-url encoded formats. Brighten up your image by adding realistic dynamic lens flares on light sources. Fully configurable, you can go from realistic suns to glowing green zombie eyes in seconds. Add annotations, background sound FX, a narrated walkthrough, promotional overdub, music clips, or any other MP3 files. Both HRTF based Spatial Audio for Virtual Reality, and normal stereo modes supported. No audio recorder? No problem, SeekBeak has a built in MP3 recorder that records from your computers microphone via Chrome, Firefox, Opera and Edge browsers. Gone are your days of manually patching the bottom of your images to crop out your tripod or giant thumb. Simply upload a patch JPG or PNG, and SeekBeak will non-destructivly patch your main image. SeekBeak will even dynamically rotate your patch to always face the viewer, so they can always read any important text right side up, no matter which way they’re viewing. Have a cropped or partial panorama, or a camera which doesn’t include the very top or bottom of an image? SeekBeak will automatically detect any limited views and fill the remainder of the image in black, maintaining a proper aspect ratio. Users can share each Snap via their social networks or over email. SeekBeak provides dynamic thumbnail and content generation for Social Media, including Facebook, Pinterest, LinkedIn, Twitter, and more. We support full featured split screen VR viewing with Google Cardboard, or any other mobile-based Head Mounted Display including Gaze Based hotspot activation and virtual tour navigation. We also have controller and gaze based navigation support with WebVR Immersive Mode on Oculus Go, Oculus Rift, and HTC Vive headsets. Reuse the same Snap or Tour for various purposes, without duplicating it! MLS for example, doesn’t allow Real Estate company branding on images. Using our simple URL customizer, the tour show on the MLS website won’t show any of your branding, but the exact same tour will display your custom branding on all other sites and social networks.